My dear, I'm glad your letters, your experiences and your life. Keep writing. Kisses on the heart. Once one is determined, anything can be accomplished. Good to see that you are pushing yourself to achieve your goals. All the best! I love that you went out and about even though the weather wasn't good. I love even MORE that you took a little rest and then did another mile!! You go girl!! :) And a big Happy Easter to you! Hi my lovely Launna. I'm glad that the snow storm is gone even just a small freak but that doesn't sounds that bad because you'd be able to go for walk:). I am so happy for you Launna keep up the good work on your walking and it is will make you happy. Work out is making me happy and fresh feeling:) you sure do know what I'm trying to say:). My weather is warm ups but pollen is giving me and all my family to the downside. I only wish you and little Valentina are doing well. My kids are in spring break for the whole week:). I can have a little break from school system as well. Have a wonderful day my sweet darling. I've gotten away from my exercise routine this winter too. Just this weekend I recommitted myself to getting back on track to being healthy and strong! We can do this together :)! Hi Launa glad to read you're getting your life back. I love exercises too and I manage to do it at least three times a week, the best part of it is feeling awesome after each exercise, and seeing amazing results. Keep it up! I always love your posts Launna, they are always so inspirational! Its so awesome that you love cardio; I wish I could love cardio but I hate it so much hihi (I do it anyway though, and I do feel great afterward)..
Good move to give time and energy to yourself. Love your very apt quotes. Hi Launna! Wonderful Choice .. yesterday i did the same ,i chose the same ,i chose to want to be happy. Sometime it need a change. Letting yourself off the hook every once in a while is okay, as long as you pick things up again afterwards and that is exactly what you did. I'm very happy you had time for yourself. I'm amazed that you enjoy cardio. I run and swim, but don't like when I feel breathless. Have a wonderful week, Launna. wow...you really do inspire me to push towards what I want. It's up to me!!! Hugs Launna , have an amazing week. Hugs. I do some of my best thinking when I walk.. We can't exercise every day either, but we do every time we can. When the weather is too bad to walk, I do yoga. It's a great way to de-stress and stretch, which for me is as important as cardio. Glad you know the path to walk to keep fit and healthy. Soon, I hope to stop procrastinating :) kindly visit www.thepinkjournalng.blogspot.com. Hi Launna, your words are so beautiful for me. Great choice! Launna, I love your new design! And your words amazing as always! It's so important to have time for ourself and to be happy is the best choice!!!!! Thanks for sharing these beautiful words, I hope you have had an Easter full of love!!!! You have proved that this saying is one hundred percent true ! Exercising can be a boring thing, To stick on with a regular and consistent routine is difficult for everyone in the present day world with a lot of temptations, adverse circumstances, negative influences, lack of appreciation, sickness etc. Que maximo arrasou na postagem, uma semana abençoada para você. Can't believe you are still getting snow! Hope it ends for you soon! So true that we have to push ourselves! Wow, such a good changes! Keep up your good work and motivation! You can do it :-) Trust yourself! I will support you! Way to go! Glad you are making the changes you need- for you- because you want to make them. Sounds like you got a lot of walking in before the snow came. Yeah! Sometimes we all get off track, but it is important to get back on track as soon as possible. I am just now getting back on track with walking. Winter was tough- but I do finally see signs of spring. Good luck! I am so proud of you and so glad you are back on track walking! I think making a commitment to yourself really helps -- telling the rest of us helps even more! I am trying diligently to get to 70K per week and have had 2 great weeks in a row. Amazing how much better it makes you feel! 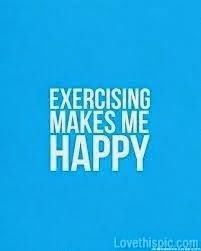 Exercising makes ,e happy too. Hope you had a wonderful Easter. Planning is the easy part but when it comes to putting the plans into practice then one can allow oneself to be diverted, especially if the conditions are less than optimum. So walking in the snow does seem like a step too far, but you have proved to yourself that you can overcome even such hostile conditions. It is true that nobody can do it for you and, if it matters enough, then self determination must succeed. You have shown that you can do it and the result is a happier, healthier you. Well done! your words are ever beautiful my friend! After reading your stories Launna, I've decided to enroll myself to the gym too! Lets see how it pans out! Lovely words! Thank you for sharing this to us. Hopye you have an awesome Wednesday! Well done Luanna! Exercise is good for mind and body! Walk is a very good starting, but I think you should found a sport you really like and go for it: once you'll find it you'll can't wait to every day! Good luck on your proposition! Thank you so much for this wake up call, and I am going to go now to exercise. It's just about time, and I think it's perfect to start my day!! :) <3 Loveee you, dear!! this sounds wonderful and i love your quotes sweety! As always, you keep inspiring me. This is another inspiring post. I love the way you do exercises to keep yourself healthy and fit. I fully agree with you on this. Please do keep it up. God bless you, Launna. Wishing you a wonderful day my sweet Launna. I love all of the encouragement that you give yourself--that is so beautiful and I think more women should be doing the same! So much positivity and good energy! But I totally feel you on slacking on things that I think I should be doing, like exercise! We just need to power through and remember how good we feel at the end! Amiga passando para ti deseja um dia encantador. that is awesome! good for you. starting is the hardest first step. thank you so much for your comments on yesterday's post. your words are a comfort!!!! I actually enjoy cardio myself! If I need inspiration or to really think, I love to walk outside, but most of the time I just walk on my treadmill while reading. I'm experiencing a moment in which a need the time to do whatever I want. I need free time! Did I tell you I love your new blog design? Good for you, Launna. I need to follow your lead and get back to exercising too. Winter does me in every year. Time to get back to it now, though. I'm glad winter isn't keeping you completely down. Glad you out there reaching your goals.Very inspiring! I think everyone is starting to come out of hibernation and begin exercising in the fresh air again! So great you have started as well and it is such a mood elevator - you don't even realize it! Happy Spring ! You're on the right track and doing so well. Look how far you have come! Exercise is THE BEST THING for us. I've lost almost 19 pounds now from Zumba class and I feel soooo much better! Hi my lovely Launna. I'm glad you're having such a nice weather and be able to go for walk please do enjoy it every moment:). We just got back from our vacation, taken the kids out of the house fro their spring break treated. Hope you're doing well beside the weather and walking:). Oxoxox. Amiga passando pra ti deseja um bom final de semana, bom final de semana. You look amazing! So glad to know you are doing well. Nice blog.Wish u a happy sunday.Thanks for following me.I am now following you back. I saw your updates on the walks on FB Launna and I'm glad that you're making the time and effort to do every bit of walking and exercising. You know, even walking helps a lot and a little bit counts. I'm very determined to be more healthy now. Besides the walking every day during commute, I've told myself to try to do light cardio at home after work while watching those videos on YouTube. In fact, I'm gonna start right now after I send out this comment. I'm already changed into my gear to sweat it out! Of course you are worth the money!!! 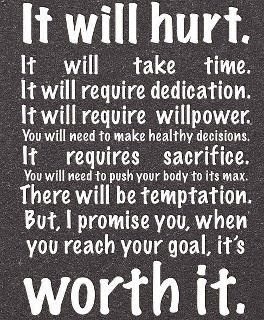 Wow a 10K is no joke, it's so great that you are going to do it! You are such a strong woman and you can be really proud of yourself! Wow that's great! I admire your dedication!